Bet'N'Spin Casino is packed with world's best known online casino games. Around 1500, to be exact. Try them for free or play and actually win real money via mobile, desktop, tablet, Mac, or any other platform you prefer. 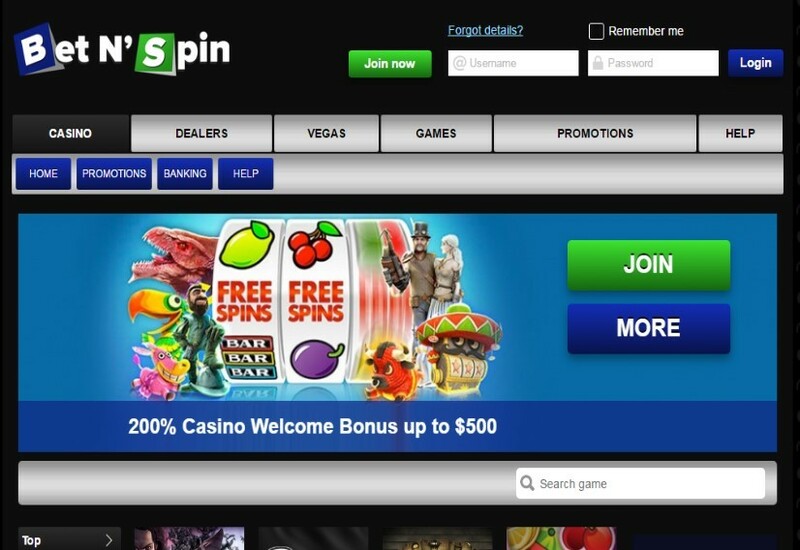 Bet’N’Spin Casino is packed with world’s best known online casino games. Around 1500, to be exact. Try them for free or play and actually win real money via mobile, desktop, tablet, Mac, or any other platform you prefer. Offered games at casino are powered by very good known software providers- NetEnt, Microgaming, Betsoft and many others. Bet’n’Spin Casino has the following games: video slots, table games,live casino, poker. Video Slots are presented by Microgaming, NetEnt, Betsoft, Endorphina, NextGen Gaming software and they games – Gonzo’s Quest, Starburst, Twin Spin, Dead or Alive and others. Table Games section is presented with Roulette, Baccarat, Blackjack, Hold’em. Bet’n’Spin online casino is designed for you to enjoy it and for nothing else, because serving you at our best is casino’s only priority. If you are up to talk, feel free to contact it via live chat, internal mailing system or e-mail. Due to legal regulations Bet’N’Spin casino games are not available to players from the following territories: France, Latvia, The Kingdom of the Netherlands (Netherlands, Curacao, Aruba, Bonaire, Saba, Statia and St Martin), Singapore, United Kingdom, United States.